1. To participate in the clinical evaluation, we’ll first need to set up an anonymous Gmail account by visiting this page. 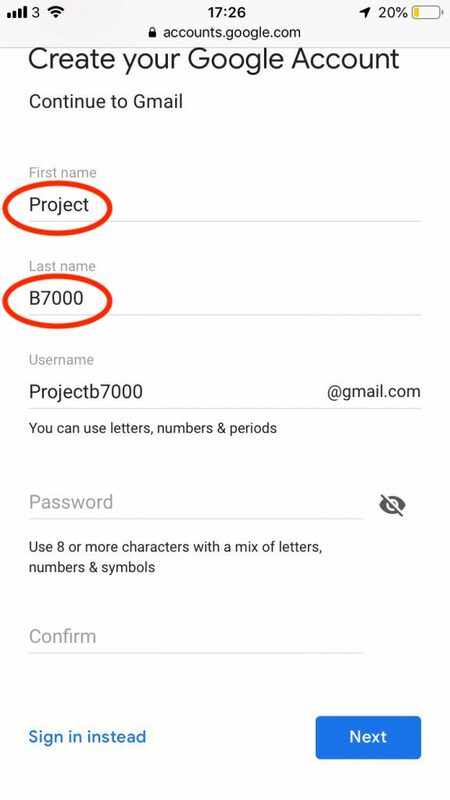 Click or tap the ‘Create Account’ link when you’re there. 2. 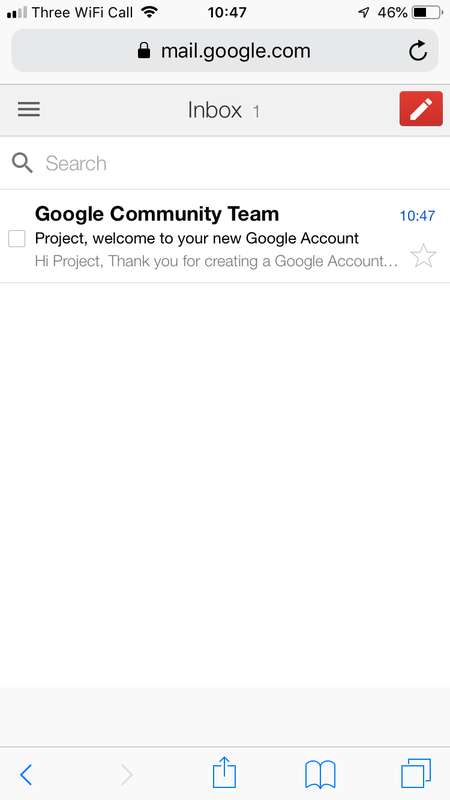 When signing up, choose a username that doesn’t personally identify you and uses the format ‘ProjectB***@gmail.com’. For the ‘First name’ and ‘Last name’ fields, please also make sure that you don’t enter your real name. See the example below for a guide. 3. 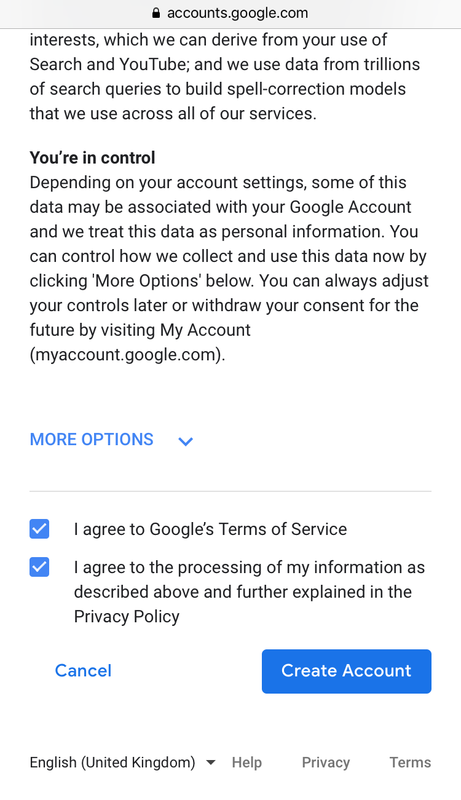 Having agreed to the terms, click ‘Create Account’. 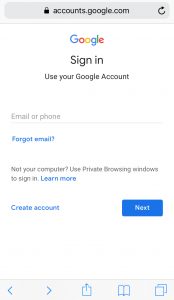 Once finished, you can either access this email account via a web browser like Chrome or Safari, or if you prefer, you can download the Gmail app and login with your username and password. 6. 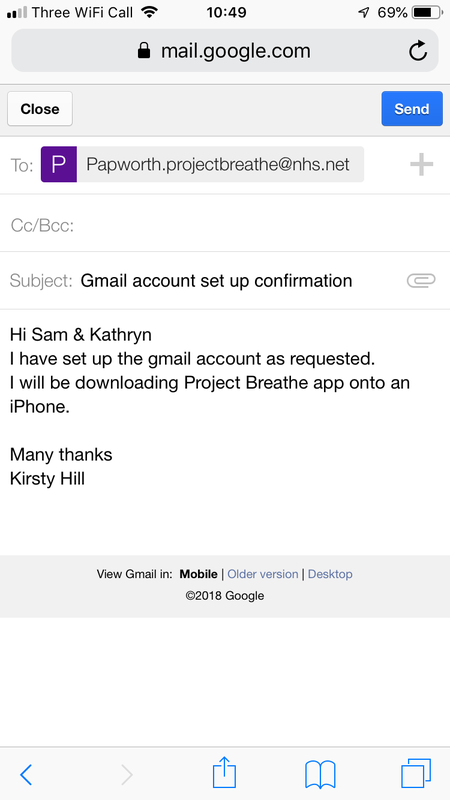 Within 48 hours, you will receive an email with a link enabling you to download and install the Project Breathe app.